Recommendations for the things to do in Canada. Smart tips and advices about the activities, what to buy and the cuisine of Canada. Canada, the largest country in the world after Russia stands on the northern east of the world as a magnet, pulling all of the people in the world to itself. Imagine that you open your eyes in a country that you do not where it is. You need to guess where you are just by tracking the clues. You both see English and French signboards and you are confused. The weather is cold and you start to think you are somewhere in the north. Whenever you look, you see another group of people speaking fluent English and suddenly their language can change into fluent Indian, Italian or German. You discover the beautiful nature, mirror like lakes, colorful flowers and squirrels running in the parks. Roaring of the falls you start to hear and the people rush to their houses to catch their favorite team’s hockey match. You taste something called maple syrup and you like it. Still cannot decide where you are? Here is the answer. You are in Canada! The country of combinations and harmony, Canada offers you the world. It has the essences of all countries in the world, thanks to its cosmopolitan structure. No matter where you are from, you will not feel as an alien in this country. Canada is home for everyone! Bordering the three oceans, the Pacific, Arctic and the Atlantic, Canada is located in the north of the United States of America. One of the iconic landmarks of Canada, Niagara Falls is shared between USA and Canada. Let the roaring of gorgeous Niagara Falls entrance you to the bone. In this region, there are also casinos, upscale hotels and attraction points which means that you can take either a daily tour or consider spending more nights in this fascinating area. Thanks to the climate, Canada is a very favorable country for skiing and other winter sports. Located in Quebec area, Mont Tremblant is one of the most popular ski center in the world and draws many tourists from each corner of the world every year. Located in the southwest of Canada, Nova Scotia is known as “The Ocean Playground.” Thanks to the ocean currents, the climate is milder than it is supposed to be and this makes Nova Scotia a very favorable region in terms of a beautiful and rich nature. Many activities are also possible in this island like diving, fishing and hiking. In addition, the tides of Fundy Bay are known as the highest tides in the planet. Being a cosmopolitan country, shopping options in Canada are diverse. Outlet malls, flea markets and shopping malls are popular and because of the cold weather, closed shopping spaces are more preferable. The top things that we can recommend you to buy from Canada are maple syrup, the products that has the iconic maple leaf on them and Tim Horton’s Coffee. Maple is a kind of tree that grows only in Canada and it is the symbol of Canada as you can remember it from the Canadian flag. Canadian cuisine is based on the game meat and seafood. However it cannot be said that Canadian cuisine has its own characteristics. Since it is an immigrated country, world cuisine can be found anywhere in the country. No matter where you are from, you will never be deprived of your country’s cuisine in Canada. In breakfast, you can try the local people’s choice eggs and bacon or bagel and cream cheese. Apart from these, maple syrup is highly popular both as an ingredient and as side sauce. Poutine (French fries topped with cheese) is also the most loved member of Canadian Cuisine and worth giving a try. Contrary to popular belief, US Visa is not valid for entering Canada. To have detailed information about Canada’s visa regulations, you may visit the official site of the Canadian Tourism Commission . 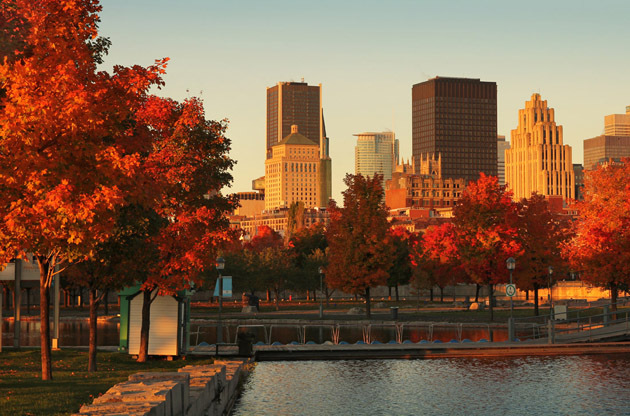 Having high standards of living, first class hotels and award-winning remarkable venues with exceptional facilities, Canada serves as a perfect hub for international meetings. Canada is also rich in activities, cultural life and beautiful nature that make the visitors have a great time during their trip. Its powerful economy and cosmopolitan structure creates a perfect environment for all people of the world and the events like symposiums, conferences, congresses, fairs and exhibitions draws global attention to this country.